Here's the latest in my unending effort to document the appearances of S.S. Adams brand pranks in television and film. (previous sightings here and here.) 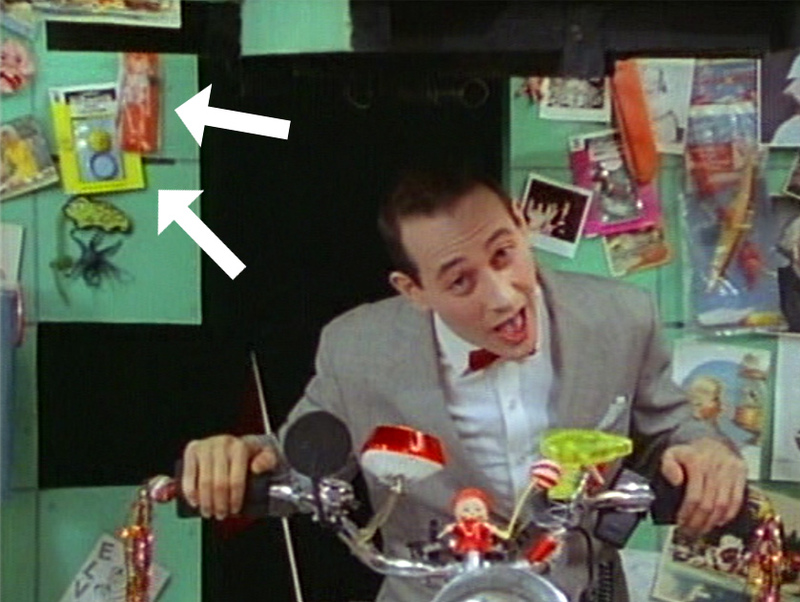 This time I've spotted some gems adorning the walls of the hallowed Pee-wee's Playhouse. A more appropriate home there could not be. Hidden among the vintage ephemera, the jumbo plastic scissors, the Wacky Wall Walker, the plastic skull, the black fuzzy dice, the rubber face puppet, and the J.R. Bob Dobbs are a few items I'd like to point out. It's not Adams brand, but the other item is this classic "Hanging Skeleton" from an era when hanging skeletons didn't need trendy brand names determined by extensive market research. 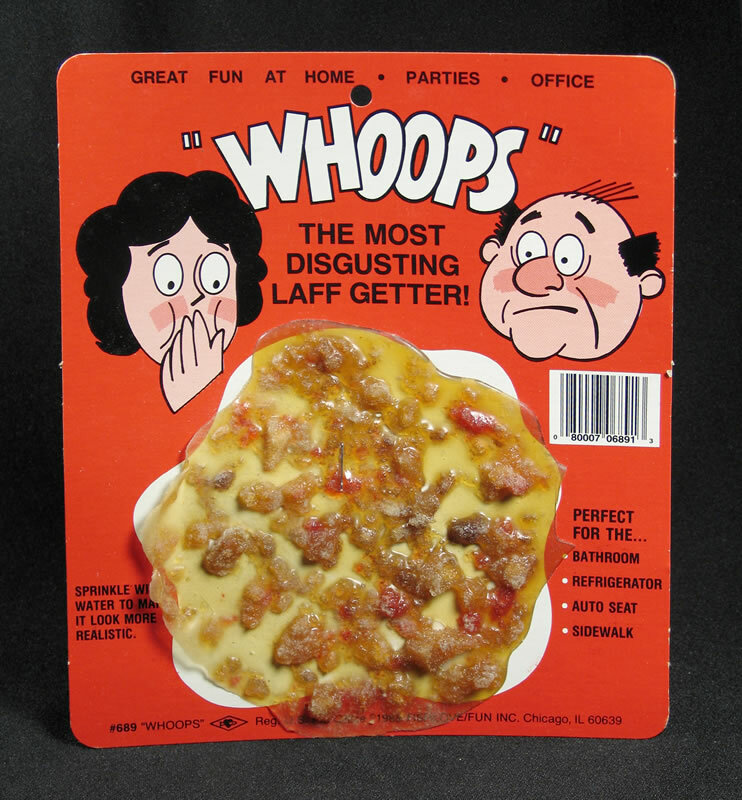 ...is an early package of "Whoops" brand fake vomit by the H. Fishlove Company. Hats off to Pee-wee and Gary Panter (who did the show's set design) for understanding the greatness of these classic items and using them to further enhance our Saturday mornings. Boy, wouldn't it be great to see annotated photos of the entire playhouse? Please Mr. Internet, make it so. Nice work! I love this kind of stuff! Am touched to know that Smokie the Mule was part of Pee-Wee's playhouse. 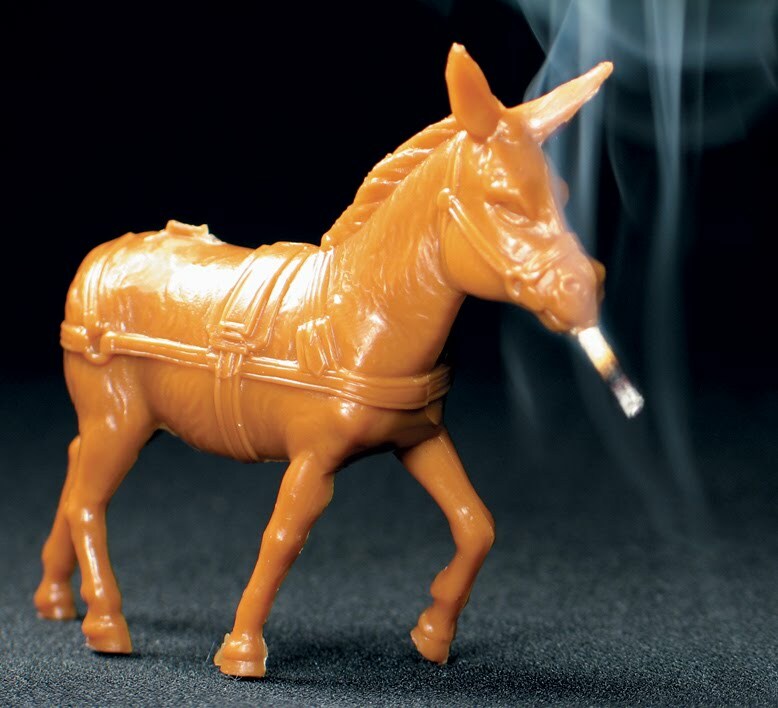 He was outsold by Smokie the Dog until we landed a big account in Saudi Arabia in the mid 90's and Smokie the Mule was their most popular item. 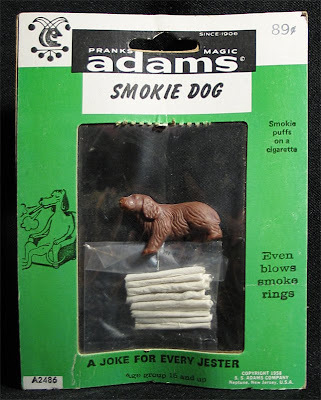 Eventually, no one in the world wanted to make those little cigarettes and which forced both Mule and Dog to give up their smoking habit. 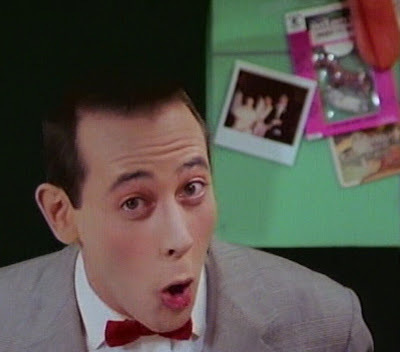 On a side note, our son's Make-A-Wish was to meet Pee-wee and last October it was granted. We flew out to LA and Mr. Reubens and his assistant Allison could not have been more gracious or kind. They spent hours with us with no interruption whatsoever. 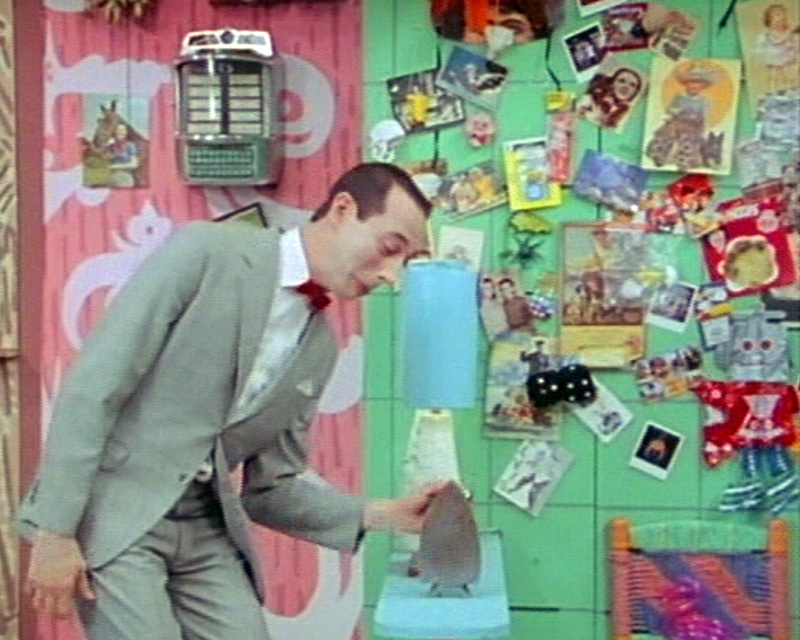 I would have loved to ask Pee-wee about such design touches but the occasion just didn't lend itself. He still stays in touch with us so the opportunity might present itself yet. Chris- That's a fantastic piece of trivia, thanks for sharing! 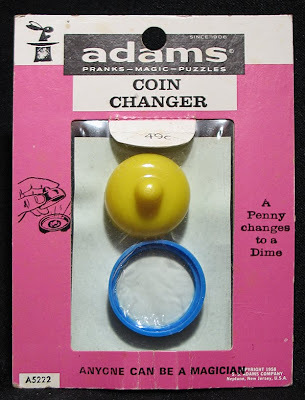 Now just type every other piece of Adams trivia that you know and mail it to me please. Brian- Wow, that is amazing! What a great wish and what a neat experience. My prayers are with your family. an annotated photo set of the playhouse would be incredible! my girlfriend and i always pause the dvds to point out little things, like bendy pizza hut aliens, Madballs knockoffs, vintage Bullmark kaiju toys, etc. 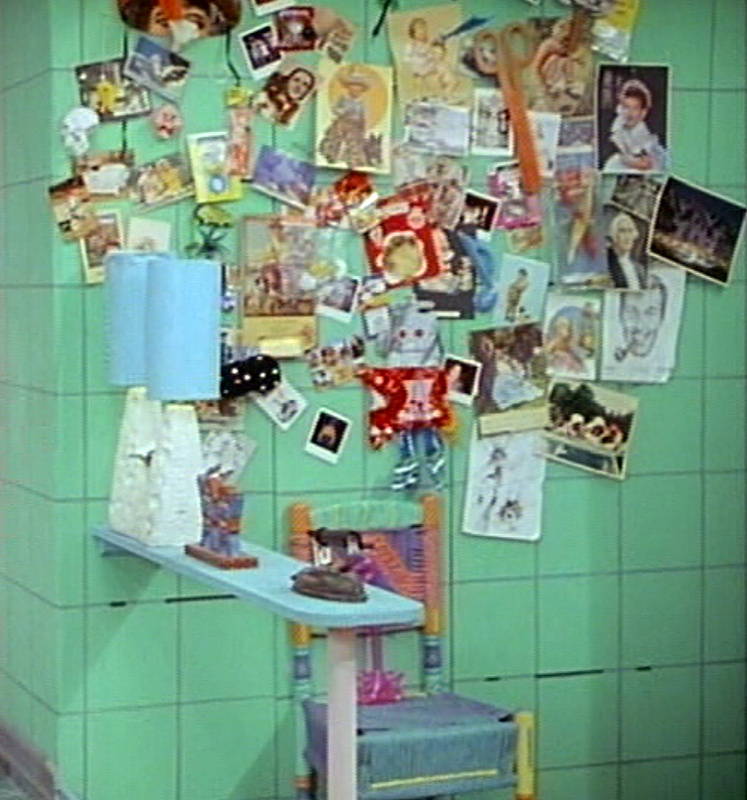 greatest set design ever.